A toad is stuck at the bottom of a well 9 feet deep. It can leap to a height of 9 inches each time. How many leaps will it take to get out of the well? 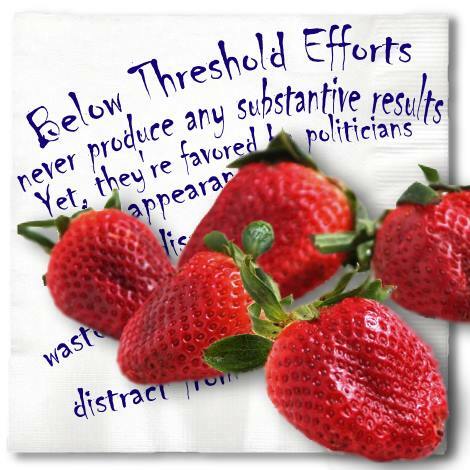 Repeated below-threshold efforts contribute absolutely nothing positively towards the goal. The net effect is waste, plus incidental damages associated with the efforts. Hastily conceived solutions actually harm (or even doom) the prospect of success, by diluting resources, and often― causing the problem to escalate.